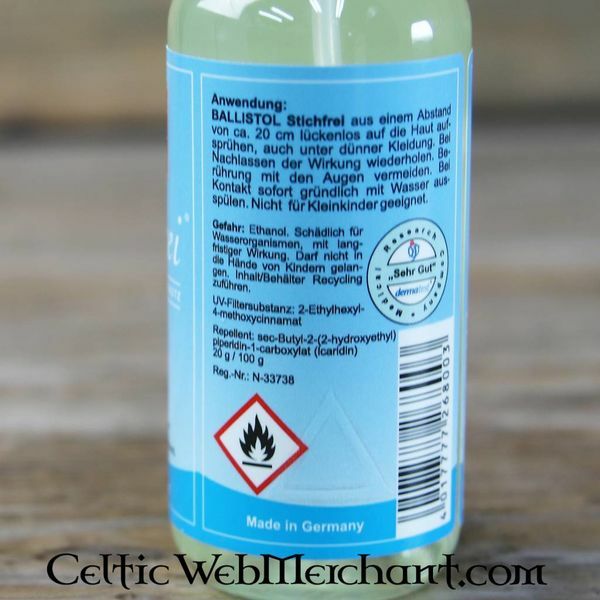 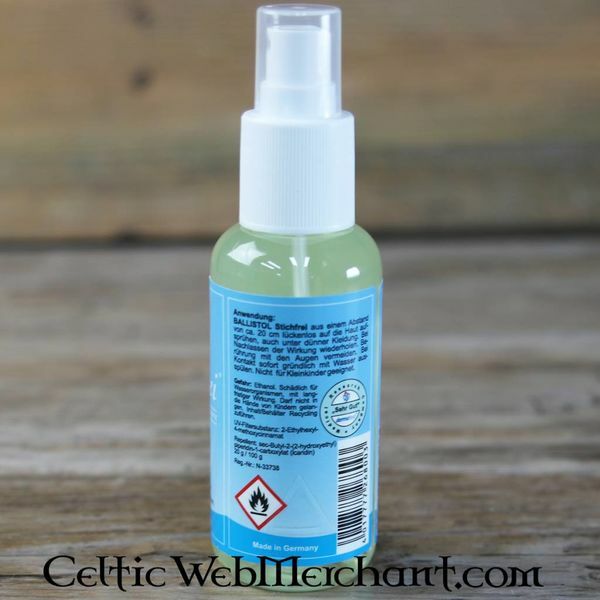 This anti-mosquito spray comes in a handy pump pack of 100 ml and can easily be taken along for bushcraft, LARP and re-enactment. Are you covered in mosquito bites after every re-enactment or LARP event? 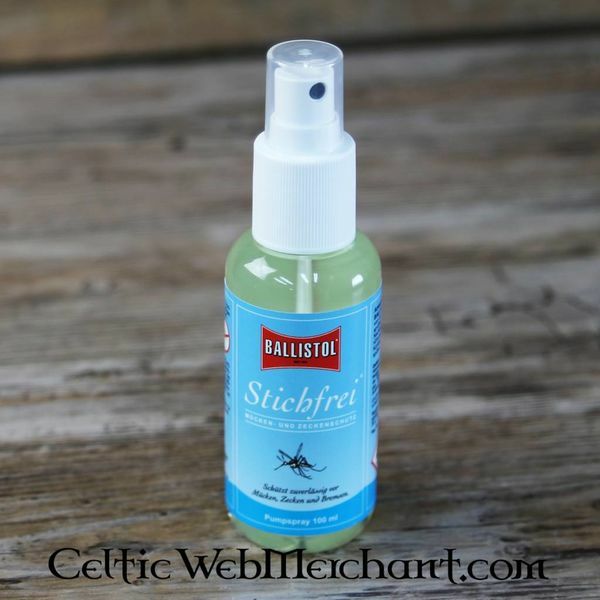 Ballistol anti-mosquito spray with lemon scent reduces the chance of mosquitoe bites. 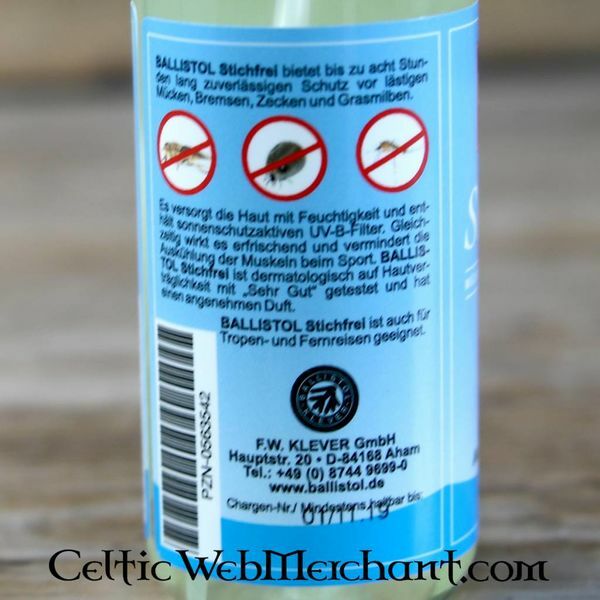 It also reduces the chance of tick bites. 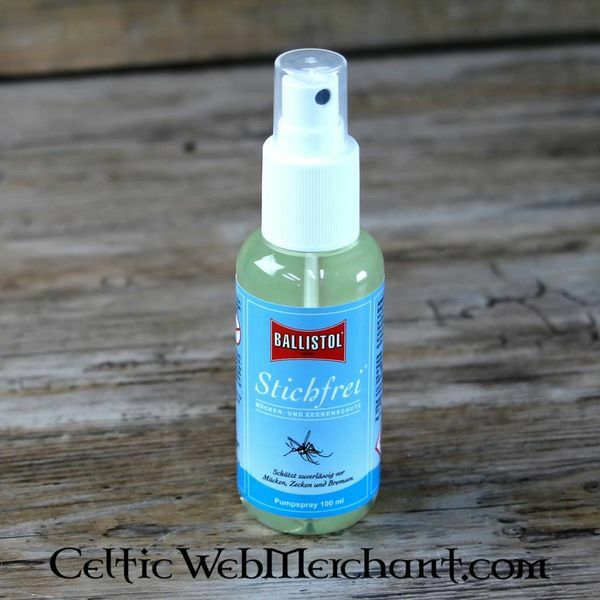 This anti-mosquito spray comes in a handy pump pack of 100 ml and can easily be taken along for bushcraft, LARP and re-enactment.